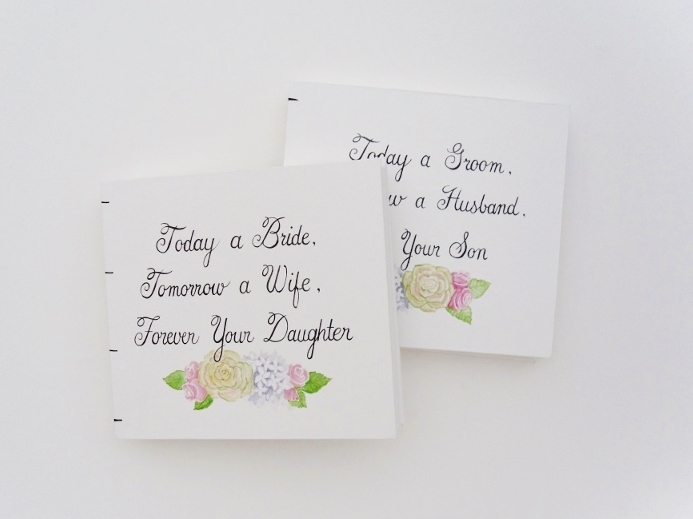 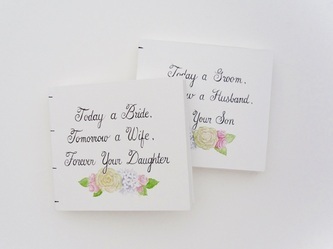 Judene contacted me about making a pair of identical photo albums to give to her parents and her fiance's parents as wedding gifts. 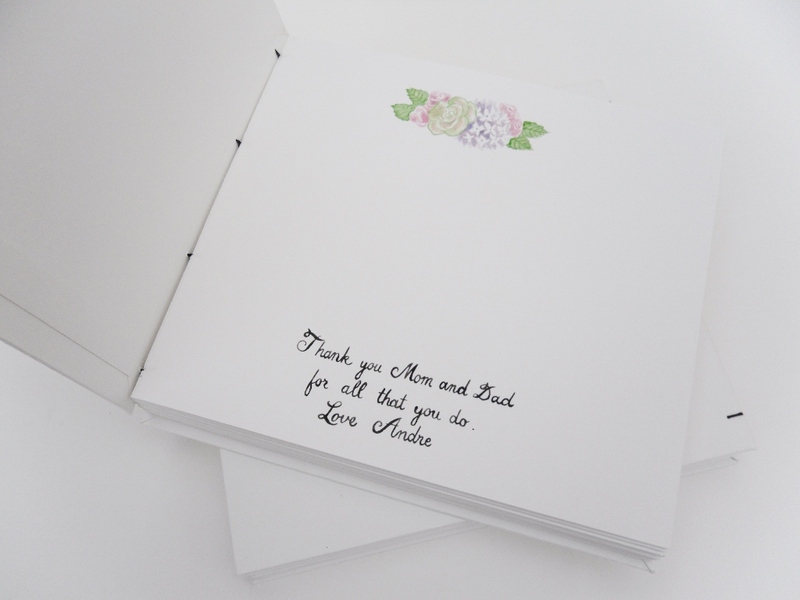 It was such a sweet project to be a part of! 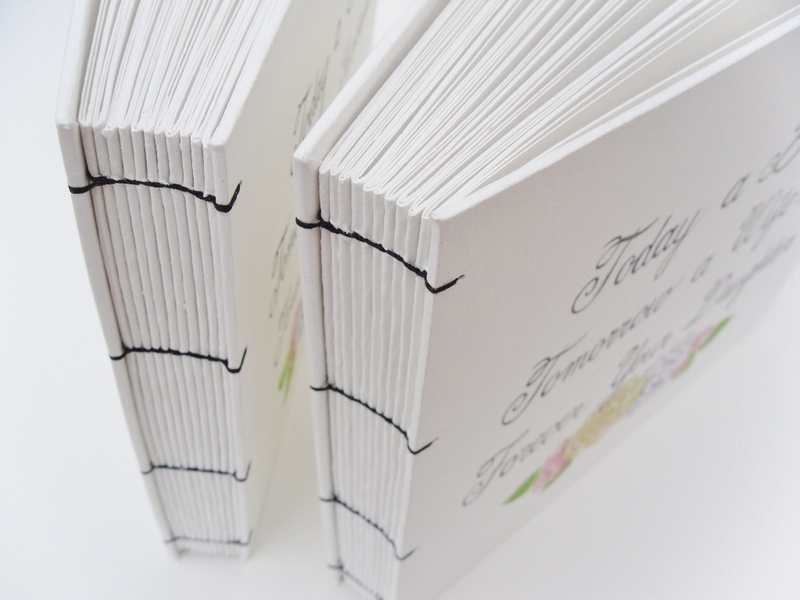 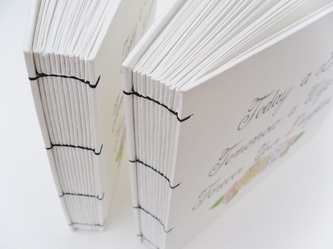 The albums are bound with a coptic stitch. 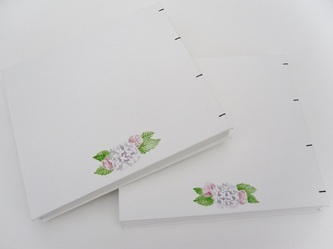 They are covered and filled with watercolor paper.